Facials promote healthy, hydrated skins while calming the senses and relaxing the mind. 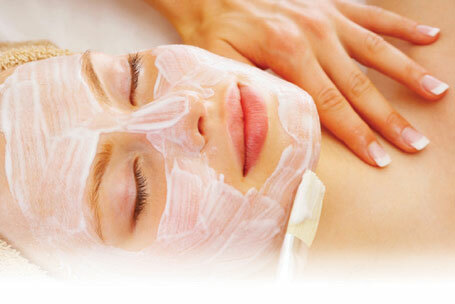 As no two skin types are identical, we offer variety of facials to suit your skins requirements. Our aim is to help you prolong the youthfulness of your skin by using Sothys products and prescribing your treatment needs. An ideal treatment to reduce puffiness, dark circles and wrinkles. Helps to rejuvenate the appearance to the eye area. A 10 minute shoulder massage is included. Especially for the young problem skin – includes deep cleanse, exfoliation, extraction and moisture protection. Designed for the time pressured person wanting to keep the skin maintained. Includes cleanse, tone, exfoliation and moisture protection. For those who have time to be pampered this facial is a must! Included in this facial deep cleanse, vaporiser, exfoliation, massage, mask and moisture protection. Ampule provide for small addition cost if requested. A rejuvenating facial using a complement of vitamins including Vitamin C – a well known free radical scavenger. This facial gives the skin an instant illumination and radiance and is perfect for that special occasion. An intensive hydrating treatment to overcome the drying and ageing effects of sun, cold weather and wind. This facial will give maximum tissue saturation leaving the skin plump and supple. Digi-Esthetique is a blend of oriental and western pressure point movements which leaves the body and mind perfectly relaxed. It also enhances the benefits of your skin’s requirements. Lift Defense is a ‘lift’ treatment which acts on visible wrinkles by notably diminishing them. It is also a ‘defense’ treatment which protects and reinforces skins resistance while proventing the appearance of new wrinkles. Lift Defense can be a one off treatment but is recommended as a series of six treatments to achieve ultimate results. Stress, pollution and UV alter your skin condition leaving it lacking in energy and less able to repair itself. Oxyliance is an outstanding booster to the skin energy, visually improving it’s vitality. An extremely gently double exfoliation process that has an unclogging and refining effect. Diminishes pigmentation spots, lightens complexion and tightens skin texture. A multi-action treatment targeted for lightening pigmentation. The healing properties of Manuka rebalance the PH levels of the skin, improving circulation and the appearance of the skin.